9780226408231 | Univ of Chicago Pr, November 14, 2016, cover price $68.00 | About this edition: This year marks the centenary publication of John Dewey’s magnum opus, Democracy and Education. 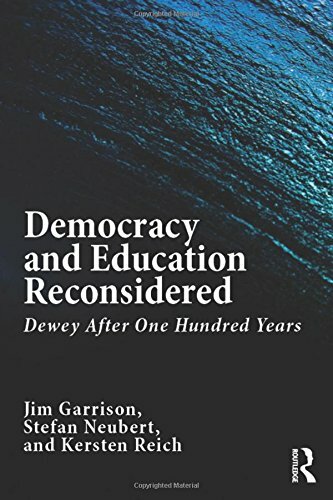 9780226408378 | Reprint edition (Univ of Chicago Pr, November 14, 2016), cover price $22.50 | About this edition: This year marks the centenary publication of John Dewey’s magnum opus, Democracy and Education. 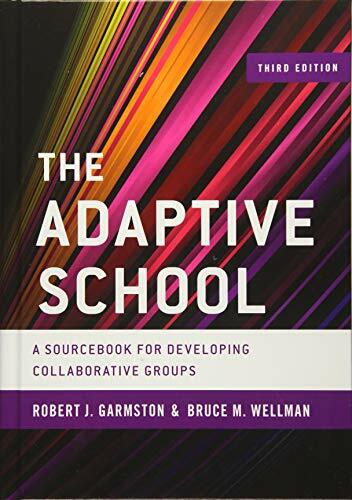 9781442223639 | 3 edition (Rowman & Littlefield Pub Inc, July 31, 2016), cover price $68.00 | also contains The Adaptive School: A Sourcebook for Developing Collaborative Groups | About this edition: This 3rd edition of the award winning Adaptive Schools Sourcebook provides both a theoretical and practical guide for groups and teams to develop and focus their collaborative energies to improve teaching practices and enhance student-learning outcomes. 9781442223998 | 2 revised edition (Rowman & Littlefield Pub Inc, June 13, 2013), cover price $72.00 | also contains The Adaptive School: A Sourcebook for Developing Collaborative Groups | About this edition: Expanded and updated, this edition of one of the most popular resources for school change now comes with ancillary materials containing 150 facilitation strategies. 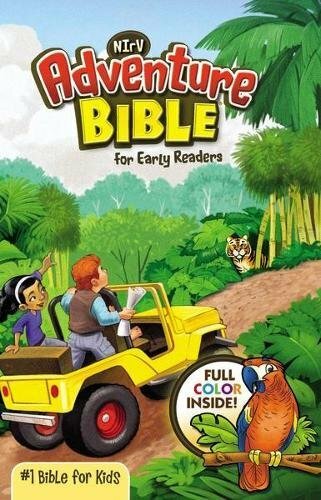 9781933760278 | 2 har/cdr edition (Christopher-Gordon Pub, September 1, 2008), cover price $65.90 | About this edition: Expanded and updated, this edition of one of the most popular resources for school change now comes with a useful CD-ROM containing 150 facilitation strategies. 9780926842915 | Christopher-Gordon Pub, March 1, 1999, cover price $65.95 | About this edition: Expanded and updated, this edition of one of the most popular resources for school change now comes with a useful CD-ROM containing 150 facilitation strategies. 9780226373102 | Univ of Chicago Pr, June 30, 2016, cover price $30.00 | About this edition: American education as we know it todayâguaranteed by the state to serve every child in the countryâis still less than a hundred years old. 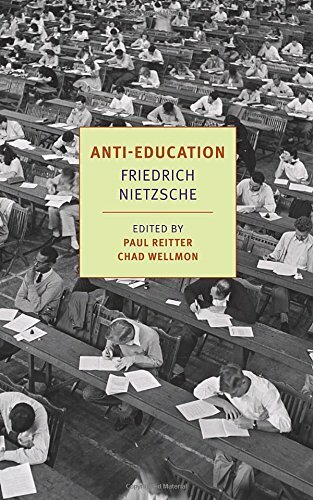 9781138017467 | Routledge, November 6, 2014, cover price $160.00 | About this edition: Problematizing the "reason" of schooling as historical and political, in this book leading international and interdisciplinary scholars challenge the common sense of schooling and the relation of society, education, and curriculum studies. 9780333662878, titled "Texts and Cultural Change in Early Modern England" | Palgrave Macmillan, June 1, 1997, cover price $219.00 | also contains Texts and Cultural Change in Early Modern England, The "reason" of Schooling: Historicizing Curriculum Studies, Pedagogy, and Teacher Education | About this edition: This is a wide-ranging, closely-researched collection, written by scholars from both sides of the Atlantic, on the cultural placement and transmission of texts between 1520 and 1750. 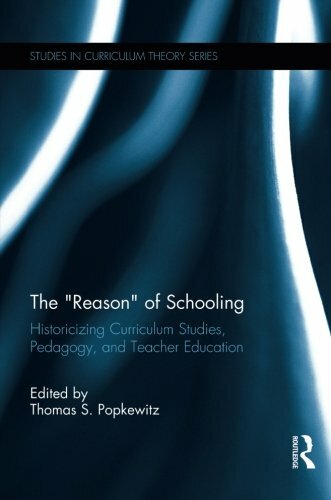 9781138690592, titled "The Reason of Schooling: Historicizing Curriculum Studies, Pedagogy, and Teacher Education" | Reprint edition (Routledge, April 27, 2016), cover price $54.95 | also contains The "reason" of Schooling: Historicizing Curriculum Studies, Pedagogy, and Teacher Education | About this edition: Problematizing the "reason" of schooling as historical and political, in this book leading international and interdisciplinary scholars challenge the common sense of schooling and the relation of society, education, and curriculum studies. 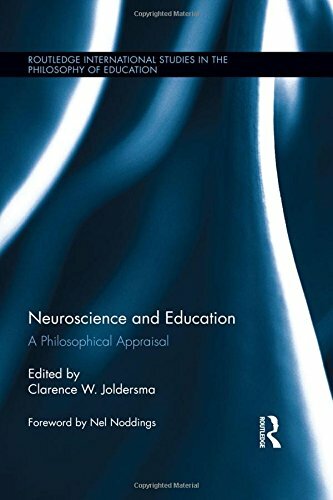 9781138802636 | Routledge, March 9, 2016, cover price $160.00 | About this edition: This volume makes a philosophical contribution to the application of neuroscience in education. 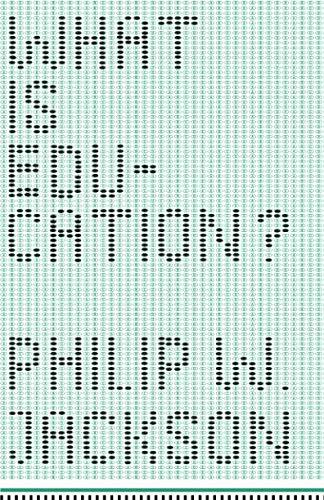 9781137272850 | Palgrave Macmillan, July 18, 2014, cover price $110.00 | About this edition: Setting education in its political context, this book offers a history of good intentions, ranging from the birth of modern schooling and modern examination, to the rise (and fall) of meritocracy. 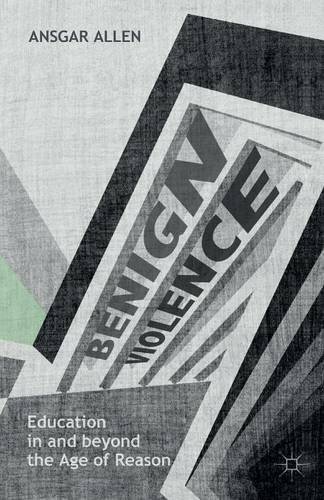 9781137593924 | Palgrave Macmillan, April 6, 2016, cover price $40.00 | About this edition: Education is a violent act, yet this violence is concealed by its good intent. 9781137453075 | Palgrave Macmillan, February 29, 2016, cover price $105.00 | About this edition: How do we include and develop understandings of those beyond-the-human aspects of the world in social research? 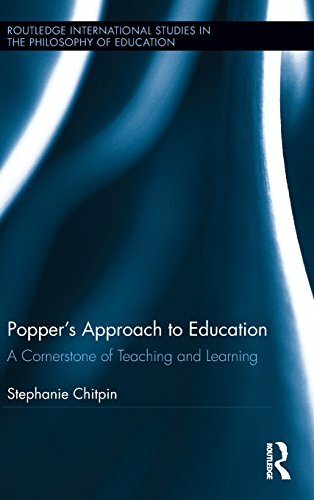 9781138940772, titled "Popper's Approach to Education: A Cornerstone of Teaching and Learning" | Routledge, February 9, 2016, cover price $160.00 | About this edition: Challenging the theory of induction in teacher education, this book proposes a knowledge-building framework based on the critical rationalism of philosopher of science, Karl Popper. 9780226389387 | Univ of Chicago Pr, December 15, 2011, cover price $31.00 | About this edition: One day in 1938, John Dewey addressed a room of professional educators and urged them to take up the task of âfinding out just what education is. 9780201547153, titled "Introductory Quantum Mechanics" | Addison-Wesley, September 1, 1991, cover price $104.00 | also contains Introductory Quantum Mechanics | About this edition: By providing detailed explanations of challenging concepts for students and by offering professors an extensive list of subjects, the third edition of this best-selling quantum mechanics text follows the continuing evolution of physics in both esoteric and pragmatic directions. 9780226381343 | Reprint edition (Univ of Chicago Pr, March 29, 2016), cover price $18.00 | About this edition: One day in 1938, John Dewey addressed a room of professional educators and urged them to take up the task of “finding out just what education is. 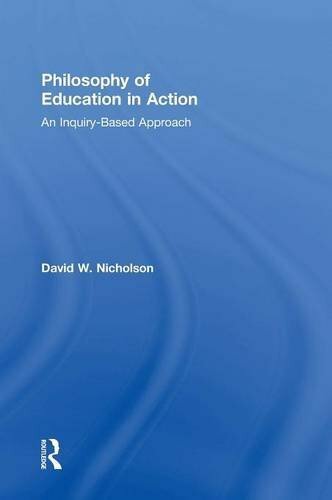 9781138843042 | Routledge, February 4, 2016, cover price $155.00 | About this edition: Philosophy of Education in Action is an innovative, inquiry-based introductory text that invites readers to study philosophy of education through the lens of their own observations and experiences. 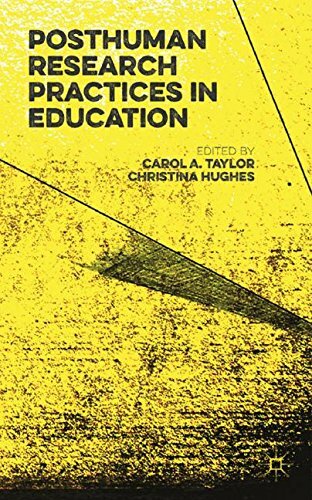 9781138843059 | Routledge, February 1, 2016, cover price $54.95 | About this edition: Philosophy of Education in Action is an innovative, inquiry-based introductory text that invites readers to study philosophy of education through the lens of their own observations and experiences. 9781433130335 | Peter Lang Pub Inc, January 20, 2016, cover price $149.95 | About this edition: Myths and metaphors share not only an ability to call our attention to aspects of our world of which we were previously unaware, but also a propensity toward symbolic meanings and interpretations. 9781433130328 | Peter Lang Pub Inc, January 5, 2016, cover price $40.95 | About this edition: Myths and metaphors share not only an ability to call our attention to aspects of our world of which we were previously unaware, but also a propensity toward symbolic meanings and interpretations. 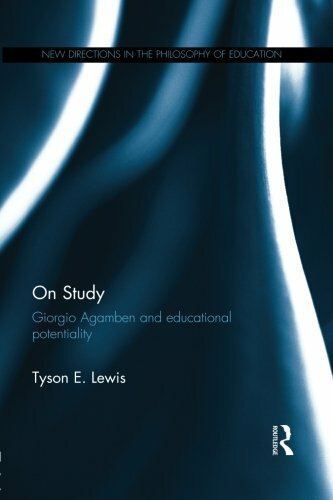 9780415812160 | Routledge, May 29, 2013, cover price $160.00 | About this edition: In an educational landscape dominated by discourses and practices of learning, standardized testing, and the pressure to succeed, what space and time remain for studying? 9781138649910 | Reprint edition (Routledge, December 18, 2015), cover price $54.95 | About this edition: In an educational landscape dominated by discourses and practices of learning, standardized testing, and the pressure to succeed, what space and time remain for studying? 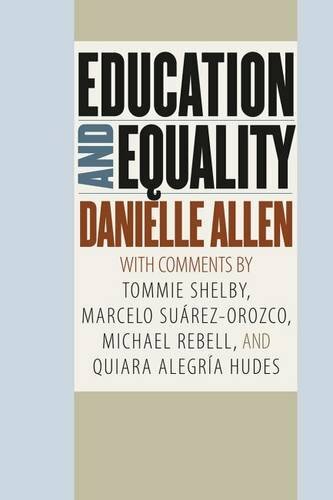 9781138939493 | Routledge, January 4, 2016, cover price $155.00 | About this edition: Democracy and Education Reconsidered highlights the continued relevance of John Deweyâs Democracy and Education while also examining the need to reconstruct and re-contextualize Deweyâs educational philosophy for our time. 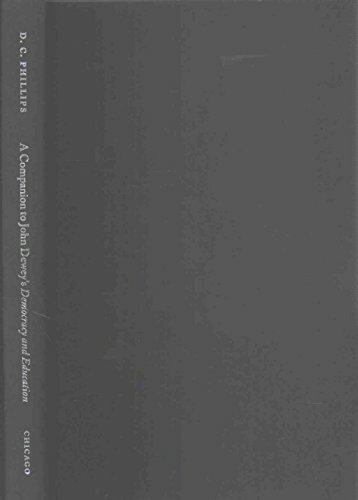 9781138939509 | Routledge, December 21, 2015, cover price $49.95 | About this edition: Democracy and Education Reconsidered highlights the continued relevance of John Deweyâs Democracy and Education while also examining the need to reconstruct and re-contextualize Deweyâs educational philosophy for our time. 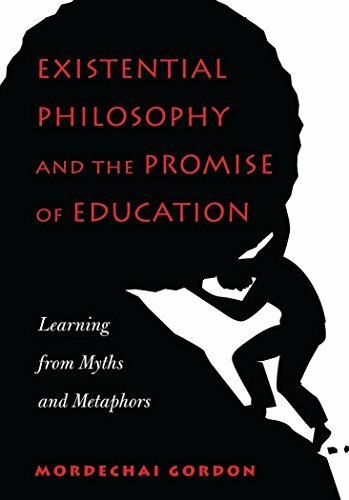 9781137026170 | Palgrave Macmillan, September 18, 2012, cover price $110.00 | About this edition: The comprehensive philosophical underpinnings of John Dewey's theory of education are analyzed, concentrating on oven-overlooked primary texts, with the authors connecting his philosophy with six recent and influential positions in late 20th century and early 21st century humanities, including those of Bauman, Foucault, Derrida, Levinas, and Rorty. 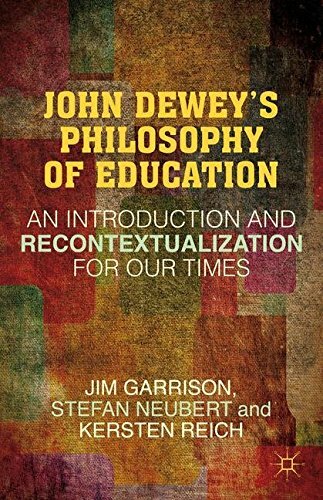 9781137575760 | Reprint edition (Palgrave Macmillan, January 12, 2016), cover price $38.00 | About this edition: The comprehensive philosophical underpinnings of John Dewey's theory of education are analyzed, concentrating on oven-overlooked primary texts, with the authors connecting his philosophy with six recent and influential positions in late 20th century and early 21st century humanities, including those of Bauman, Foucault, Derrida, Levinas, and Rorty. 9781138860414 | Routledge, November 30, 2015, cover price $160.00 | About this edition: Education, Ethics and Experience is a collection of original philosophical essays celebrating the work of one of the most influential philosophers of education of the last 40 years. 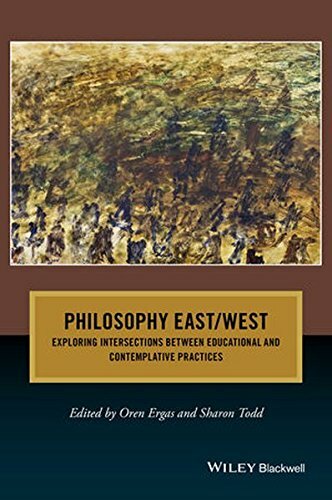 9781119147336 | Blackwell Pub, January 26, 2016, cover price $34.95 | About this edition: Philosophy East/West showcases new scholarship in the philosophy of education and contemplative studies, paying particular attention to the intersection of mindfulness, evidence-based science, and wisdom traditions. 9781138920132 | Routledge, November 20, 2015, cover price $160.00 | About this edition: Transforming Education challenges the current global orthodoxy that âeducational transformationâ can be achieved through a step-by-step implementation of centralised, performance-based strategies for school improvement. 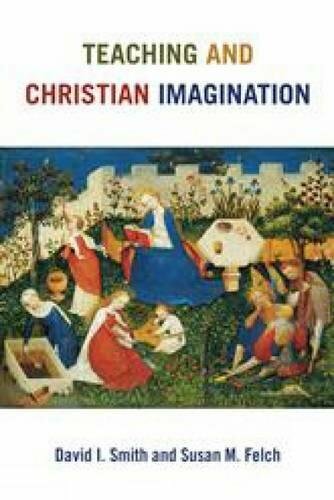 9780802873231 | Eerdmans Pub Co, January 15, 2015, cover price $22.00 | About this edition: This book offers an energizing Christian vision for the art of teaching. 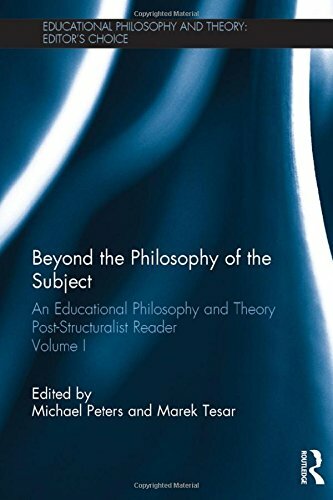 9781138915923 | Routledge, November 30, 2015, cover price $160.00 | About this edition: This first volume focuses on a collection of texts from the latter twenty years of Educational Philosophy and Theory, selected for their critical status as turning points or important awakenings in post-structural theory. 9781590178942 | New York Review of Books, December 15, 2015, cover price $14.95 | About this edition: AN NYRB Classics OriginalIn 1869, at the age of twenty-four, the precociously brilliant Friedrich Nietzsche was appointed to a professorship of classical philology at the University of Basel. 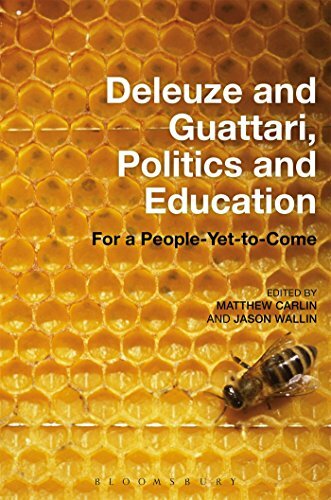 9781441166166, titled "Deleuze and Guattari, Politics and Education: For a People-Yet-to-Come" | Bloomsbury USA Academic, May 22, 2014, cover price $120.00 | About this edition: Deleuze & Guattari, Politics and Education mobilizes Deleuzian-Guattarian philosophy as a revolutionary alternative to the lingering forms of transcendence, identity politics, and nihilism endemic to Western thought. 9781474265225, titled "Deleuze and Guattari, Politics and Education: For a People-Yet-to-Come" | Bloomsbury USA Academic, November 19, 2015, cover price $39.95 | About this edition: Deleuze & Guattari, Politics and Education mobilizes Deleuzian-Guattarian philosophy as a revolutionary alternative to the lingering forms of transcendence, identity politics, and nihilism endemic to Western thought. 9781501317897, titled "Deleuze and Guattari, Politics and Education: For a People-Yet-to-Come" | Bloomsbury USA Academic, November 19, 2015, cover price $34.95 | About this edition: Deleuze & Guattari, Politics and Education mobilizes Deleuzian-Guattarian philosophy as a revolutionary alternative to the lingering forms of transcendence, identity politics, and nihilism endemic to Western thought.